If you’re looking to add ambiance, visibility, and dimension to your home, DEKOR® provides illuminating LED under cabinet lighting solutions that leave a lasting impression. With multifaceted under cabinet products for nearly every kitchen, bathroom, and beyond, you can create a glowing effect that seamlessly blends into your home, while adding a stunning shine for all to see. See how DEKOR® founder and owner, Duane McCall, brings his kitchen to life with a splash of under cabinet lighting and LED accents. On top of under cabinet lighting, Duane takes you through his home, inside and out, to show how every room or space can shine with DEKOR®. DEKOR®’s Under Cabinet Light Bar collection is dimensional, diverse, and dependable. With 2 different sizing options, 12” and 20”, to fit any space from your kitchen to your bathroom and more, you can find the perfect LED under cabinet lighting solution for you. These LED light bars are ideally suited for larger spaces to act as kitchen under cabinet lighting, radiating a warm white light that brings any space to life. To install the under cabinet light bar, all you need is a screw driver to attach the built-in mounting hinge. These low-profile LED under cabinet lights radiate with 49 LEDs for the 12” bar and 78 LEDs for the 20” bar, packing a shining punch for all to see. With 400 - 600 lumens contained in a single bar, these kitchen under cabinet lights are 30% brighter than most others on the market, giving you an unrivaled glow that’s sure to shine. Each light casts a 120º downward angle, providing a warm ambiance that accentuates your home with a one-of-a-kind glow. Say goodbye to bad lighting for cooking, baking, and all of your daily kitchen tasks. Now, there’s a way to cut, dice, slice, and serve food for every meal clearly and confidently. With DEKOR®’s low-profile Under Cabinet High Output LED Disc Spot light, you can shine a light on your kitchen without taking up space. At only 0.33” tall, this kitchen cabinet lighting component truly proves that big things come in small packages. With over 250 lumens shining from 42 individual LED components, your kitchen under cabinet lighting will radiate and sparkle like never before. And best of all, this compact kitchen cabinet lighting solution cuts down on the energy as well, using only 2.6 watts of power to save you money and electricity. 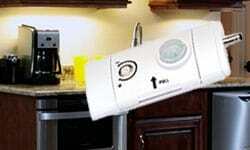 Installation is stress-free and simple for our kitchen under cabinet lighting, requiring a single mounting screw. In seconds, your kitchen will shine and transform into a space that makes you excited to cook again. 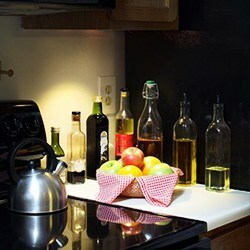 This LED under cabinet lighting solution goes beyond the kitchen to deliver illuminating impact. Use the under cabinet spot light to shine a light on your workspace, corner cabinet, or even closet to add visibility and dimension. The best part of DEKOR® Under Cabinet Lighting is that it’s designed to fit you, not the other way around. To create an integrated and illuminating effect in any space, pair our LED Under Cabinet Spot Light with our Under Cabinet Light Bars to really brighten things up. With the raw intensity of this LED unit, we recommend grabbing the remote-controlled EZ Dimmer as well to find your ideal balance of brightness and ambiance. And keep in mind, because this spot light only has a single connector, this compact light will need to be installed on the end of a circuit using our under cabinet cable splitter when paired with other DEKOR® kitchen under cabinet lighting. 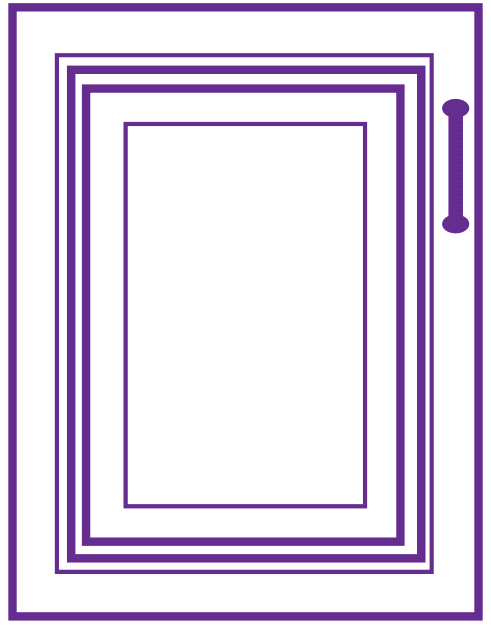 In order to give you even more possibilities and opportunities to create your own lighting experience, we’ve developed our Directional LED Under Cabinet Spot Light, with an Integral On/Off Switch. With a full 360º swivel and angled arm, you can focus your lighting where you want it, and adjust it when you need it.Create your own LED under cabinet lighting effect, focus the light where you need more clarity and visibility, and move it as your activities move. 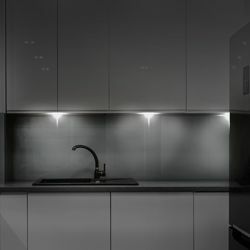 With Plug-N-Play connectors that easily allow you to connect this flexible light with our complete collection of under cabinet lighting, you can simply create a dimensional, versatile, and standout lighting effect in any space. At only 3.3” tall, this compact light has colossal impact, allowing it to be seamlessly integrated into any kitchen, bathroom, study, and beyond. Ideal under a cabinet, over a desk, in a closet and more, this directional solution gives you control over your lighting. With an integrated On/Off Switch that allows you to save time, money, and energy, activate the kitchen cabinet lighting when you need it, and turn it off when you don’t. It’s as simple as that. With industry-grade stainless steel surrounding the 2.2 watt LED, your kitchen under cabinet lighting is sure to stand the test of time. Out of sight, but never out of mind, DEKOR® NO SEE EM LED Strip Lights give you the power to illuminate and brighten without taking up space or causing stress. At a mere 5/16” high, the unique design geometry of our innovative LED strip lights conceals the source of the light. 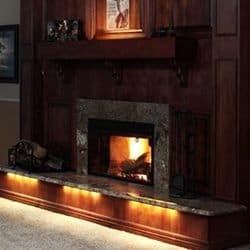 Providing an undetectable setup with an unmistakable shine, these one-of-a-kind LED strip lights will make your home seemingly shine from within. 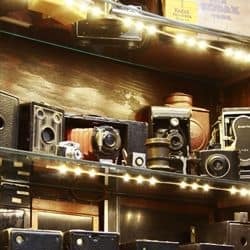 Install NO SEE EM LED strip lights as kitchen under cabinet lighting, or put them within the cabinets themselves to spotlight your prized possessions. Stick the strips in your closet to provide much-needed visibility, apply them under handrails, or even within truck beds to brighten things up. Each NO SEE EM light strip measures 20 1/4″ long, 1/2″ wide, and only 5/16″ high (20.25″x.5″x .3125). With a completely waterproof component and powder-coated aluminum housing, these LED strip lights are made to stand up to the elements. Acting as subtle accent lighting, task lighting, safety lighting, stair tread lighting, and beyond, the NO SEE EM strips are designed for anything, for everything. Choose from a single LED strip light or a complete kit, which includes: 4 NOSEEM Lights, a 24 watt transformer, timer, mounting hardware and instructions. The transformer in the kit supports up to 24 lights. You can purchase additional NO SEE EM lights individually. Choose from a single LED strip light or a complete kit, which includes: 4 NO SEE EM Lights, a 24-watt transformer, timer, mounting hardware, and instructions. The transformer in the kit supports up to 24 lights. You can purchase additional NO SEE EM lights individually. 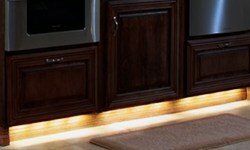 If you’re looking for versatility in under cabinet lighting, you’ve found it with Versa LED Strip Lights. With custom cutting to pre-set lengths, you can designate the specific sizing you’re looking for, ensuring your lighting perfectly fits your home and its surroundings. Ideal for kitchen under cabinet lighting, as well as drawer interiors, closets, and hard-to-fit spaces, Versa LED strip lights are made to fit your home and needs. With a durable 3M adhesive backing, these LED strip lights couldn’t be easier to install, requiring a small hole to thread the wiring. This industry-grade adhesive stands strong through wear and tear, and gives Versa the added bonus of indoor and outdoor use. And with the purchase of an EZ Dimmer, you can fine-tune your strip lights to your ideal brightness, allowing for added ambiance and customization. To increase the customization capabilities, ease of use, and simplicity of setup with our LED under cabinet lighting collection, we’ve added some integral accessories to make life a little easier. The Straight In-Line Connector is a simple, cost-effective way to create a complete kitchen cabinet lighting experience using our Under Cabinet Light Bars. Create a continuous line of LED under cabinet lighting with the in-line connector, giving your Under Cabinet Light Bars their time to truly shine. 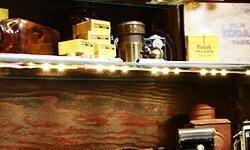 Simply connect each side of the connector to your 12” or 20” LED Under Cabinet Light Bars to keep the glow going. 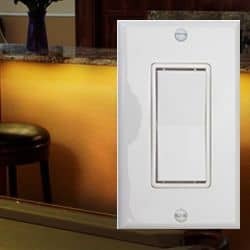 The EZ Wireless Light Switch looks like a classic light switch you’d find in any home, but it’s so much more. With a traditional light switch shape and design, the switch echoes the simplicity of classic lighting systems, fused with the ease of wireless control. The EZ Wireless Light Switch is self-powered, meaning it doesn’t rely on batteries to get the job done. Keep in mind, in order for the EZ Wireless Switch to bring your lights to life, it must be used in unison with our EZ Wireless Wall Receiver to be functional. To get the full EZ Wireless package, the EZ Wireless Dimmer Kit includes both the Wireless Light Switch and Dimmer Receiver. The Wireless Dimmer Receiver can be installed anywhere within 150 feet of your wall switch to ensure the signal is strong enough to pick up your switch controls. Simply plug the receiver into a DEKOR® transformer and a smaller output cable that feeds your lights. Once both are the setup and installed, it’s never been easier to find your perfect LED under cabinet lighting settings. 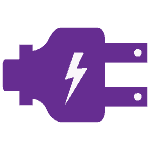 When the wall switch is pressed, a micro-generator creates a compact electric current that powers the built-in transmitter. The transmitter then sends a wireless signal that commands the receiver to turn the lights on or off, and adjust the dimming of the lights. By holding the switch on, you can find your ideal lighting intensity, and with our internal memory processes, each time you press the switch, it will return to the same setting. The Under Cabinet 4-Way Splitter is a no-brainer for any LED kitchen under cabinet lighting setup. By distributing power to your LED Under Cabinet Light Bars, you can connect up to 4 interconnect cables to a single power source to activate your lights. The easy screw-on installation makes this setup a breeze, giving you the tools to create a dimensional under cabinet lighting effect. To use the splitter, simply connect the splitter to a power source or dimmer, then connect each cable to the splitter. The 4-way splitter divides your LED under cabinet lighting connection into 4 separate power runs, allowing you to create an integrated under cabinet lighting setup with ease. Command your LED under cabinet lighting like never before with DEKOR®’s innovative collection of LED controllers. Adjust dimming, motion sensitivity, set schedules, activate kitchen cabinet lighting, and creation integrated lighting zones to make your under cabinet lighting truly shine. The White In-Line Motion Activated Light Controller with Photocell was strategically designed to control your LED under cabinet lighting. With a Photocell Motion Sensor implemented, your lighting comes to life when the Photocell detects movement and darkness. Your motion turns the lights on instantly, allowing you to go about your day with no interruptions. Combine the motion sensor with the EZ Dimmer to add even more customization to your lighting.To command your lighting, simply connect the In-Line Motion Sensor to your power supply and LED under cabinet lighting to integrate motion control. With automatic activation, your DEKOR® LED under cabinet lights will turn on when motion is detected, and subsequently turn off after sensing 30 seconds of inactivity. And with our continuous activation mode, if the photoelectric sensor continually detects motion, it’ll keep your lights shining the whole time instead of leaving you in the dark. The White In-Line Motion Activated Controller blends seamlessly into your cabinetry, saving space and energy. Ideal for cabinets, under counters, kitchens, and dark spaces around the house, you can shed light on every part of your home with DEKOR®’s kitchen under cabinet lighting controllers. If you’re looking for dimensional lighting control right at your fingertips, the EZ Motion Controller + PIR Sensor is your answer. With a handheld remote that allows you to adjust dimming levels, set dusk-to-dawn timers for night lighting, and beyond, the EZ Motion is truly an all-in-one lighting command center. Adjust the sensitivity of your PIR sensor to detect your ideal level of activity, adding safety and visibility to any space. Schedule your lighting to only activate once the sun sets, allowing you to enjoy the glow without fidgeting with the setup. Or even set your own custom schedule that perfectly fits with your life. 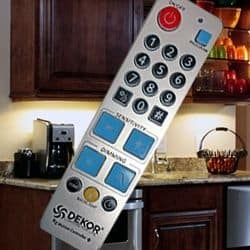 And best of all, the EZ Motion Controller is designed to integrate all of your DEKOR® lighting together, allowing you to command every area of your home from one place. Designate custom lighting zones with your under cabinet lighting as a zone itself, allowing you to adjust its specific settings without altering other areas. The EZ Motion Controller is designed to do it all. DEKOR®’s Plug-N-Play™ technology gives anyone the power to effortlessly create an integrated under cabinet lighting system with ease and accessibility. Using the male-to-male cables, simply connect your LED under cabinet lighting to its power source or dimmer to bring on the light. 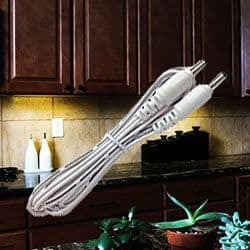 Our 3’ white male-to-male cable is designed to blend smoothly into your kitchen cabinet lighting, remaining covert and concealed. 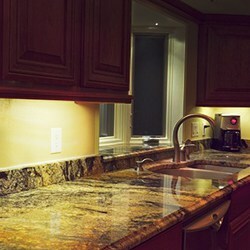 If your LED under cabinet lighting is close to a power source, this is the solution for you. Our 9’ black male-to-male cable was added to our cable collection to account for people whose homes aren’t setup ideally for kitchen under cabinet lighting. Giving you a complete 9 feet of length to reach your closest power source, this cable is sure to solve any wiring issue while blending smoothly into your home. Each and every DEKOR® product is backed by our unbeatable warranty, with our under cabinet lighting collection included. All of our LED Under Cabinet Lights are protected from workmanship flaws or assembly errors for 5 years when used with a DEKOR® transformer. And, all LED Under Cabinet Lighting controllers are protected for 1 year when used with a DEKOR® transformer as well. 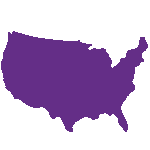 To learn more about the unwavering protections behind each DEKOR® product, check out our warranty list.